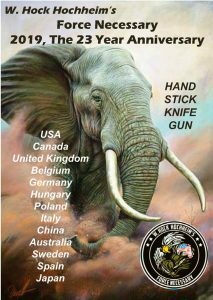 W. Hock Hochheim has over 40 years experience in military, policing and martial arts. As an Army military police patrol officer and investigator, and as a retired Texas patrol officer and detective, and as private investigator and protection/bodyguard, he has worked all those years in “line operations” never taking a promotions exam or admin job. He possesses a unique experience and savvy that very few other instructors have, all blended with a career in the martial arts dating back to 1972 and the earning of several black belts in various Pacific Island/Archipelago martial arts from the Philippines, Hawaii and Japan. He has forged his Force Necessary courses from the military, the police, the martial arts and the aware citizenry, as each group knows things about fighting that the others do not. Hock has been a paid consultant trainer for the US Army, Navy, Marines and Air Force. he recently instructed at the Special Operations base in Italy. 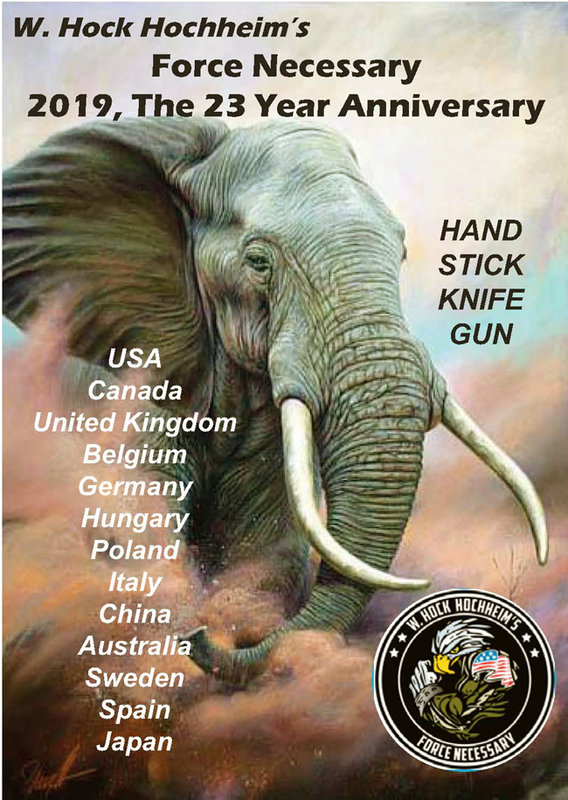 Once, a police field training and an instructor at Texas police academies, he has taught at police academies for police agencies, be they street or SWAT, in the US, South Africa, England, Ireland, Germany and Australia. He currently teaches some 30 seminars a year in 12 countries as far as China and Australia. Many of the martial and survival topics popular in the last few years and under newer cool, names, Hock has already been teaching this material for…decades. W. Hock Hochheim is a former military police patrolman and investigator, a former Texas patrol officer and detective, and former private investigator. During his career, spanning three decades he worked in “line operations” only, and he’s investigated more than 1,000 crimes and arrested nearly as many suspects. He has graduated from numerous, national Assault and Violent Death police schools and street survival courses. He also organized protection and security for famous authors, politicians, musicians, TV and movie stars. Over the last 40 years Hock has studied martial arts and hand, stick, knife and gun combatives, earning numerous black belts in multiple systems. In 1996, Hock founded Force Necessary, a training company that teaches situational, event-based, scenario-based fighting tactics to military, police and citizens. Hock has written prolifically about martial arts, psychology, sports and history in countless magazines and books. He is quoted frequently, and his ideas, outlines and plans used by experts worldwide. He currently teaches some 25 seminars a year in 13 allied countries. For more than 15 years now, Hock has also authored a very popular blog read by tens of thousands. He is known as an educator, entertaining skeptic, and pioneer, martial, myth-buster by citizens, military, police, and martial arts experts worldwide. You cannot find all these special studies, articles and essays on his blog page as they are collected in book. 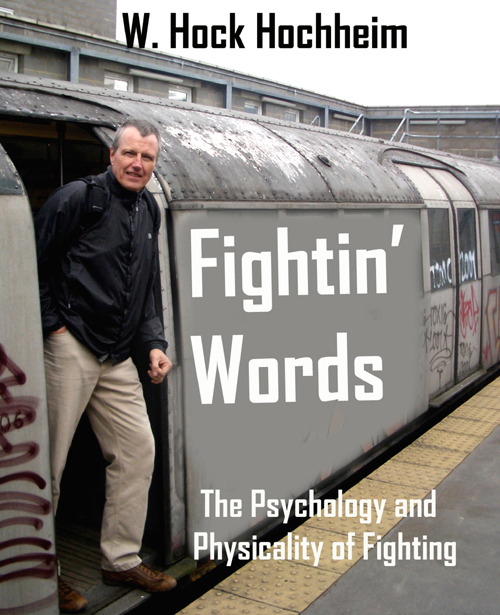 Fightin’ Words is a collection of essays and articles by Hock about his life-long, worldwide quest to uncover the best, base-line, fighting tactics, strategies and skill-developing methods. These essays are based on his travel, study and research of the psychology and physicality required to successfully fight criminals and enemy soldiers. 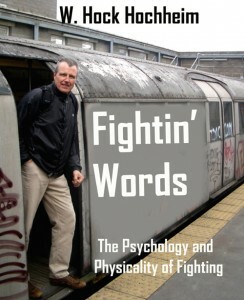 The book is about fighting, or “fightin'” since Hock is a Texan and speaks like one. He dissects elements of survival, self-defense, war, crime, martial arts and combat sports. He explores the changing terrain of these systems and how they evolved. And meanwhile, reveals a little martial, history and gossip here too! There is also a photo tribute collection to the many international hosts who have hosted him over the last 22 years.